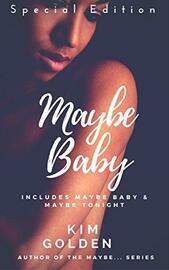 GET THE FIRST TWO BOOKS IN THE MAYBE... SERIES IN ONE VOLUME. Mads Rasmussen has had enough: of being a sperm donor, of feeling disconnected, of being alone. Maybe Tonight gives us a glimpse of Mads's life just before and after he meets Laney and lets us see what happens when love takes you by surprise.